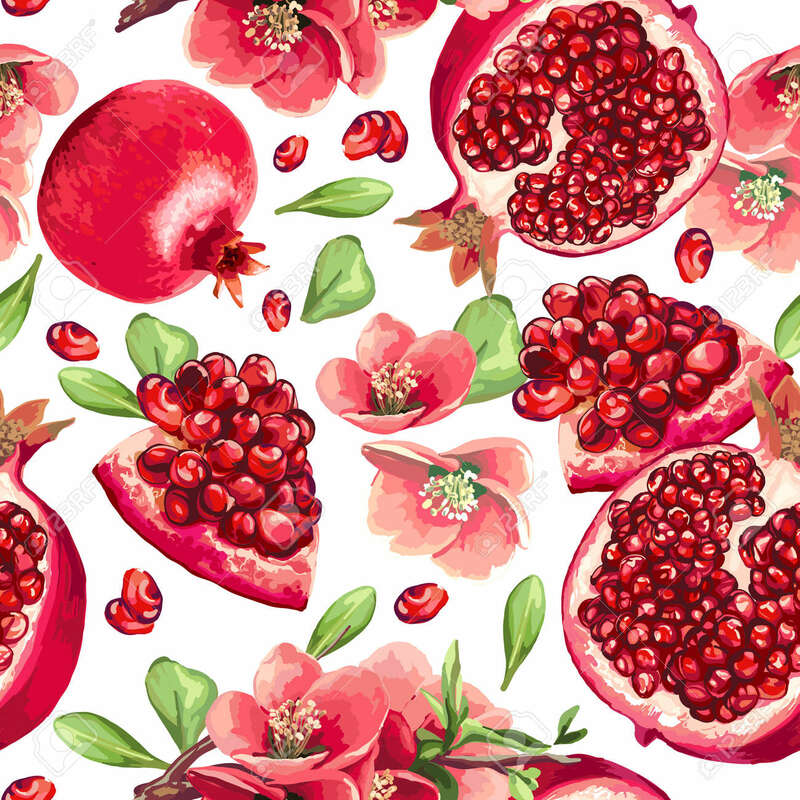 Pomegranate Fruit And Flowers Of Pomegranate Tree. Seamless Pattern. Royalty Free Klipartlar, Vektör Çizimler Ve Stok Çizim. Image 71665883. Stok Fotoğraf - Pomegranate fruit and flowers of pomegranate tree. Seamless pattern. Pomegranate fruit and flowers of pomegranate tree. Seamless pattern.